If you felt like playing Mahjong but wanted a bit of Japanese anime in there, not much but just enough to give it an anime feel, well, here you go, Mahjong House 2 will see you get your fix. So, gameplay wise, it's your vanilla Mahjong, no bells or whistles, no reimagining. Instead, the game is adorned by very cute pictures in the lite style of the Japanese anime characters. Other than that you play the game in 2D, get quite a few well produced backgrounds to play on and that's about it. You can also save your scores, play against PCs (that's real life friends to those forever alone kids out there :P) and, generally nothing is off, you know. It's a well produced game, well playable, enjoyable, to play for as long as you want, for that occasional break or for longer sessions. Alternatively, you could also enjoy a game of Hearts if you feel like a card based timewaster or a set of checkers. Whatever you fancy, whatever you feel like trying! 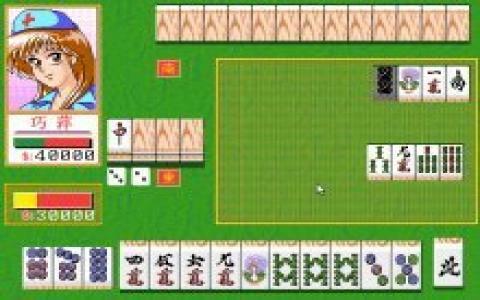 Oh, and the first Mahjong House can be just as enjoyed, as it is a good game as well, if you want, you know, a backup!